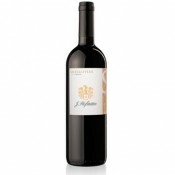 A great Lagrein Riserva from Alto Adige, Magnum format, comes in a beatiful wooden box. It has been awarded with the "2 bicchieri" by the Gambero Rosso Vini d'Italia guide! This wine, full of character, comes from selected individual vineyards stocked with vines grafted to slow growing rootstock and trained on wire trellises (Guyot). 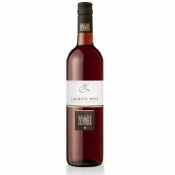 The extraordinary quality of the Lagrein Reserve stems from grapes grown under the best conditions on the loamy soils in the community of Ora with tender care of the vineyards. It is a wine of conspicuous magnitude. 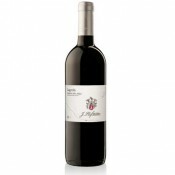 It presents itself as compact and very concentrated with prominent varietal character. The color is a deep, compact garnet red with violet reflections. The bouquet shows an aromatic variety characterized by violets, bitter chocolate, wild berries, licorice, and vanilla. 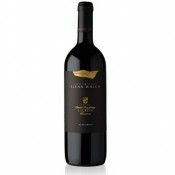 The flavor is velvety, with soft tannins, prominent structure, very long and lasting in savor. Hearty red meat dishes, game, sharp cheeses. Serve at 18 degree centigrade (64 degrees Fahrenheit) in a transparent crystal, plain and colorless glass.